Fort Lauderdale, Fla., January 22 — For the first time in its 60-year history, NSU Art Museum Fort Lauderdale has been awarded a substantial grant from the City of Fort Lauderdale. The $500,000 grant solidifies the Museum’s role as a cultural center of the community and of the larger South Florida art scene. 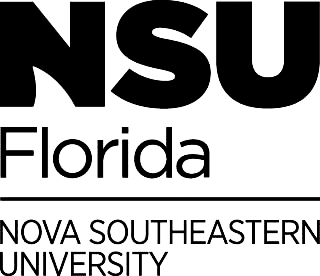 It is noteworthy that the City’s funding of the Museum occurs on its 60th Anniversary and the 10th Anniversary of its merger with Nova Southeastern University (NSU). The grant will serve to enhance the Museum’s ability to provide quality cultural programming, dynamic exhibitions and unparalleled learning opportunities for the largest, most diverse audiences possible. In appreciation, NSU Art Museum Fort Lauderdale has designated the last Sunday of each month as “Fort Lauderdale Neighbor Day,” which provides free admission to Fort Lauderdale residents on the designated dates. Residents may visit the Museum free of charge on the monthly “Fort Lauderdale Neighbor Day” through Sunday, September 29, 2019. “The contribution by the City Commission of Fort Lauderdale recognizes the positive impact on the quality of life NSU Art Museum has on the citizens of Fort Lauderdale and the economic impact it has on attracting individuals around the world to this great city,” said Dr. George Hanbury, President of Nova Southeastern University (NSU). “We are proud that the City of Fort Lauderdale recognizes the Museum’s role in providing enriching experiences to City residents and as a catalyst for tourism in the community. With the award of this grant, it’s clear that the City understands the benefits a museum of our standing provides to its residents, and we thank the Mayor and City Commissioners for their investment in the Museum and the City’s cultural infrastructure,” said NSU Art Museum Fort Lauderdale Director and Chief Curator, Bonnie Clearwater. William J. Glackens and Pierre-Auguste Renoir: Affinities and Distinctions which runs through May 19, 2019, and the Contemporary art exhibition, Remember to React, which runs through June 30, 2019.